Another Open championship venue for us today on the Golf Finance Summer Series for the Ellmoll Builders Links event, held at Glasgow Gailes, playing off the black tees and measuring 6,903yd in a stiff wind. The course will be a good test for the amateurs this weekend in the Edward Trophy tournament. The hospitality at Gailes today was as good as always, so good that Sean Lawrie had two desserts (chocolate fudge cake) which I can also say was tremendous! The winner of today's event was 2017 Scottish PGA No. 1 and BJT Golf Finance Winter Series No. 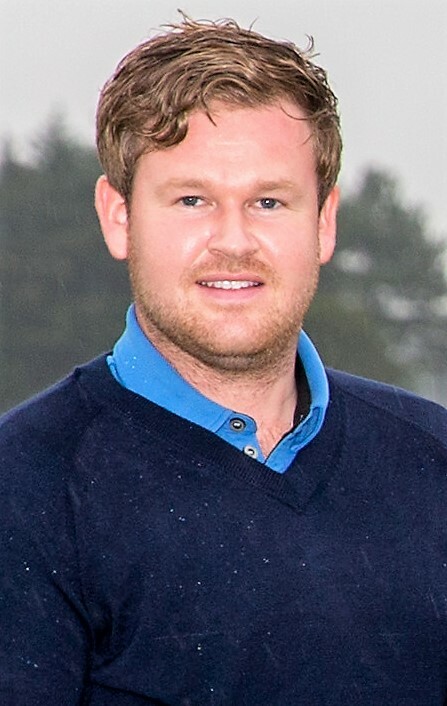 1 Paul O'Hara (North Lanarkshire Leisure), pictured, with a great score of four-under-par 67. Paul had a three-stroke winning margin from Michael Stewart and Conor O'Neil. Thanks to Ellmoll Builders Ltd for sponsoring the event and, as always, Golf Finance for sponsoring the summer series. Our next event is over the Gleneagles Queen's course on Tuesday, May 8. Entries accepted from ALL professionals. 70 Conor O'Neil (Mearns Castle), Michael Stewart (Troon Welbeck). 71 Jack McDonald (Kilmarnock Barassie), Sean Lawrie (Paul Lawrie GC), Neil Henderson (Renaissance), Ryan Campbell (Falkirk). 72 Jamie Savage (Cawder), Craig Ross. 77 Sam Binning (Mearns Castle), Kamran Zeynalov (Portlethen).